Russia vowed Thursday to ensure "parity" against British plans to station soldiers in the Baltic region, adding to the aggressive rhetoric developing between Moscow and NATO after Kremlin jets entered alliance-member Turkey's airspace this past weekend. Kremlin spokesman Dmitry Peskov said that seeing British troops in the Baltics and other parts of Eastern Europe would be “regrettable” and was another example of NATO expansionism, according to a Reuters report. He said the British troops would be “part of a more persistent presence by NATO forces” in the region. The troops would be based in Latvia, Estonia, Lithuania and Poland, where they would undertake training and evaluation of the threat from Russia. They join German and U.S. troops already in the region. 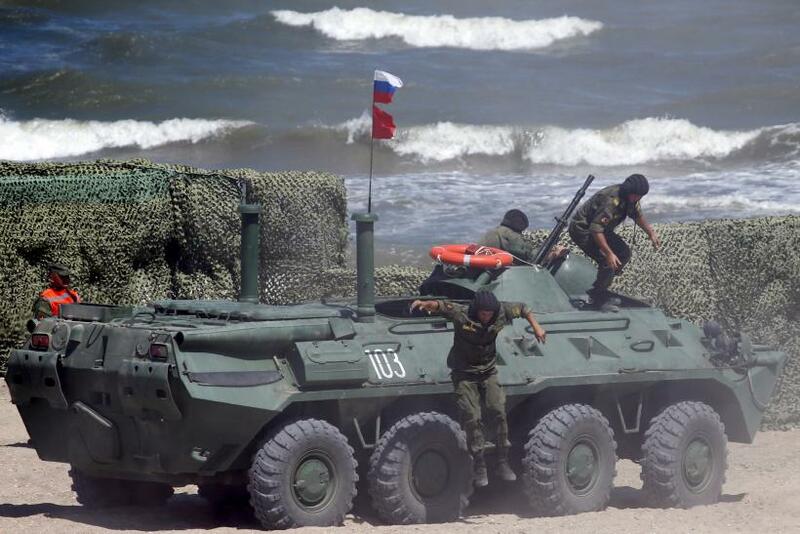 It's not yet clear how Russia would act to achieve parity, but it will likely involve a buildup of Russian troops and weaponry on the country's western border and in the Baltic exclave of Kaliningrad. While the announcement comes amid a relatively successful ceasefire in east Ukraine, where both sides have begun to withdraw heavy weapons, Russian threats to Europe have transcended the 19-month war in Donbass to become a more general threat against NATO sovereignty. Russia's intervention in Syria, which began in early September and was ramped up over the last week with airstrikes and long range missile attacks from ships thousands of miles away in the Caspian Sea, has already spilled over into Turkey, where the Kremlin's jets have been intercepted on two occasions. Reacting to the airspace infiltration, NATO General-Secretary Jens Stoltenberg has said that alliance troops would be made available to deter any Russian aggression at border.